Kids, get ready to experience Nocatee’s newest amenity! The BFAST (Beaches Fine Art Series) Kids Triathlon will be hosted at the community's NEW Junior Olympic-Size Competition Pool later this month (Sunday, August 31st). The kid-friendly swim, bike and run triathlon will begin at the new Nocatee Swim Club. The new amenity features a competition pool, shaded bleachers, locker-room facilities, official scoreboard, plenty of deck space and a spacious event lawn. Over five-hundrend registrants will compete in two separate heats. Kids ages 6-9 years will be in the Junior group, set to include a 50 meter swim, 2 mile bike ride and half-mile run. Kids ages 10-13 years will be in the Senior group, which includes a 100 meter swim, a 4 mile bike ride and a one mile run. The BFAST organization puts on a variety of adult and kid triathlons throughout the year to raise funds for the free music series and educational outreach programs offered to residents and students in North Florida. BFAST Kids is intended to introduce young athletes to the exciting world of triathlons and community support. BFAST recently announced its plans to have at least one triathlon each year at the picturesque Nocatee community. The Nocatee Swim club is just one of the many amenities residents enjoy year-round. Splash Water Park, located directly across from the new aquatic center, recently opened a amenity expansion that includes another large family pool, children’s spray-ground, additional deck space and covered seating areas. To register for this upcoming event, click HERE. Nocatee residents can email fun@nocatee.com for a special registration discount promo code. 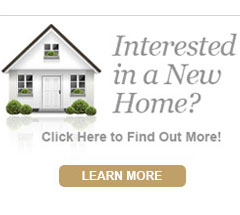 To learn more about Nocatee’s amenities, stop by the Nocatee Welcome Center or call 1-800-NOCATEE.